Its the good product. Good feather touch sensitivity. Internal space should be more. Its oppo toh ofcrs it has wonderful camera...its just awsum,front too is very nice,it has good and long battery....good features as well as good price..
Just gtng a bit hang sometimes nothng else.. The phone is very good over all. I love this cell phone. The good thing about it is that the touch is very responsive. works smoothly. It has 2 gb of ram which keep away my phone from hanging issue. The internal storage is very good. I really like the looks of this cell phone. I can play high end games on this cell phone. If you are looking for a budget phone with a lovely camera which clicks awesome pictures plus has decent screen and a lovely battery life then you are at the right place because this phone has all of it. Thin, light and premium built quality. Heating issue while multitasking or heavy tasking. The quality of the phone is okay. It shows its true colors after an year or half. Normal in this price, has wonderful camera and smooth touch. 69 Pricebaba users have written their experience with Oppo A37. If you own Oppo A37, please do leave your feedback too. Lowest price of Oppo A37 price in India starts at Rs. 9,200 Oppo A37 is available on Flipkart at Rs. 9,990 and on Amazon at Rs. 9,200. Prices updated on 24th April 2019. 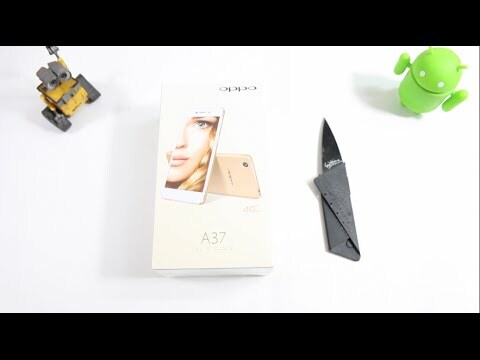 The A-series by Oppo is primarily focused at producing good budget range smartphones. These phones appeal to those who are looking to get the best value for their buck. The Oppo A37 was made official globally around June 20th of 2016 and has pretty much everything that you would expect from a moderately powerful Android phone today. The Oppo A37 comes with a 5-inch display with 720P resolution. This is an IPS LCD panel, so the colours are true and have good legibility outdoors. Despite being a strictly budget phone, there is a 2.5D curved edge on the phone, something that we have seen on flagship phones like HTC 10 and iPhone 6s. There is also Gorilla Glass 4 on the top, ensuring that your display is well protected. In terms of the design overall, the A37 comes with a candy bar design that is fairly common today. Clear to see, Oppo has taken inspiration from iPhone 6 while designing this device. The edges are nicely rounded and you have neat rounds along the corners too. The Oppo A37 is powered by Snapdragon 410 chipset, and there is 2GB RAM to assist the chipset in order to help you breeze through your tasks. With the combination, you should not expect the phone to play heavy games very well, but it should be able to hold up on its own for the regular day to day tasks. There is no fingerprint scanner here. On the software front, the A37 is still running the dated Android version 5.1, though there is ColorOS 3.0 on top, which sure adds some interesting features. The rear camera on the phone is an 8MP sensor. This is a f/2.2 aperture lens, which at least on paper does not look very enticing. The rear camera is capable of creating a 24MP image using the Ultra HD mode on the phone. The front-facing camera is a 5MP sensor with f/2.4 aperture. The 1.4-micron pixel size on the front is really good for your selfie needs. There is also a screen flash on the phone. The Oppo A37 comes with 16GB internal storage, though you do have a dedicated slot for expanding the storage via a MicroSD card. Due to a rather thin chassis at 7.7mm, the device houses a 2630 mAh battery, which is not the biggest. However, since it is powering just a 720P display and a rather low power chipset, you should expect a day from the phone. There is support for Dual SIM card on the phone, both of which have LTE connectivity. You have your usual set of connectivities like WiFi, Bluetooth and GPS on board. In the budget category, if you are not looking to pick the A37, you could give devices like the Redmi Note 3 or even the Zuk Z1 a sound consideration. There is also the Motorola Moto G4 or the G4 Plus if you are looking for a more stock experience, with a more powerful internals on the phone. 1. How is the camera performance for this phone? Ans: It features an 8MP camera with large 1.4um pixels which allows it capture better light, thus resulting in superior low light performance and less noise. Ans: No, it comes with a non-removable battery. 6. Does it work with Reliance Jio Network?